A strong blender is a great way to add more fruits and veggies to your diet. Make smoothies or blend ingredients for a healthy family dinner with the VAVAProfessional Countertop Blender. The 1200 watt blender is currently on sale for 34% off the original price. 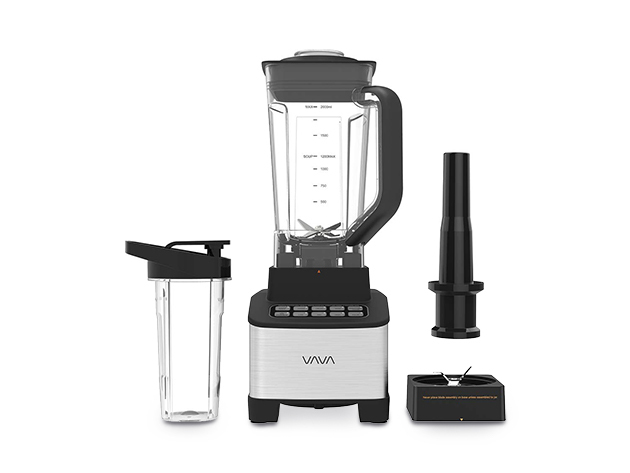 The VAVA Professional Countertop Blender is large enough to make healthy meals for your whole family but the personal cup can also blend a single serving of a smoothie after your workout. Take your drink on the go with the included travel cup and pitcher. Ensure you aren’t ingesting toxins as the VAVA Professional Countertop Blender is 100% BPA free and constructed with stainless steel. Up your kitchen game on a budget when you buy the VAVA Professional Countertop Blender in the Daily Caller shop for a sales price of $49.99.